Elevate your spring break with an island getaway where amenities are plentiful and outdoor activities are endless. 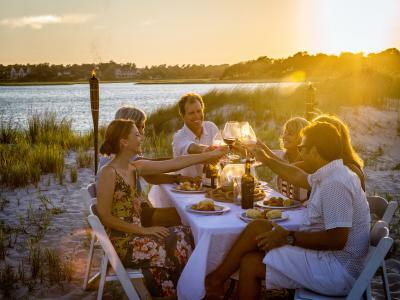 Whether on water or land, surf-inspired menus, day camps for the kids at resorts, scenic cruises and tours, beach chic boutique shopping, wellness and sporting events define spring in Wrightsville Beach. Enjoy sunset dinners at the marina or take an epic island excursion to a private dinner spot. Book a pirate tour or surf lessons for the family and ride waves at the birthplace of North Carolina surfing. SUPers or novice paddlers can also find their rhythm on the water. Nightlife is just as active with ongoing concert series and beach bars offering up seasonal live music. Sip hand-crafted cocktails with friends in oceanfront gardens or spend days by the shore with the family doing nothing at all. Whatever type of getaway you&apos;re seeking, craft your own spring fling. 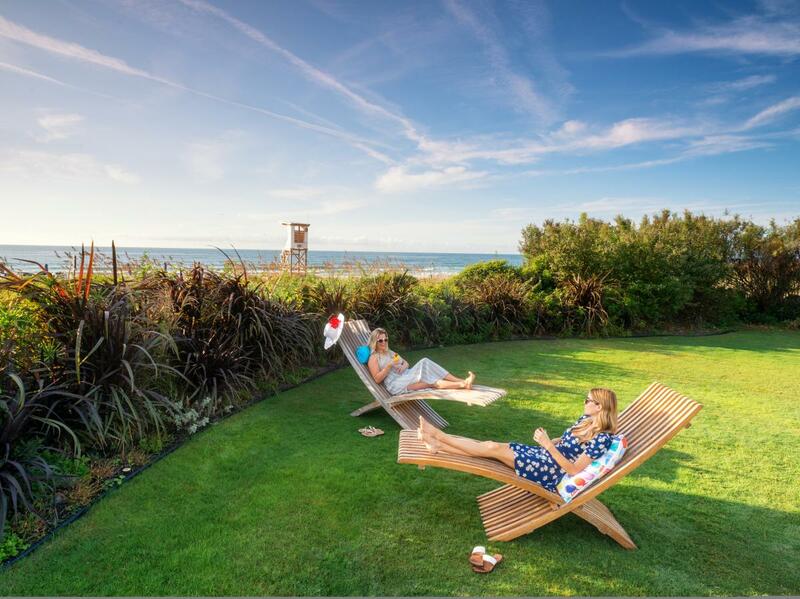 Elevate your spring escape and enter to win a trip for four to Wrightsville Beach including accommodations, a private surf lesson, dining and more. Explore Masonboro Island and the Intracoastal Waterway with family and friends on a birding, fishing or scenic cruise. Stay active and find your flow at Wrightsville Beach. Rent a kayak or standup paddleboard, take surf lessons and get out on the water all season long. From visiting a mailbox on the beach to taking a sailing lesson, learning about aquatic life and grabbing a hot dog, there's so much to do this summer. Dance to live music, enjoy dinner and drinks alongside Intracoastal Waterway views each Sunday at Bluewater Waterfront Grill, April 7 - Sept. 29. Cast a line off iconic Johnnie Mercer's Pier or charter a boat to fish deeper waters and spend the day cruising the Atlantic Ocean. Paddlesurfers take to the waves, April 20-21, to compete for a $15,000 purse prize in this American Paddlesurf Professionals (APP) World Tour Qualifying event. Get a sense of what it was like to live at Wrightsville Beach during the early to mid-1900s at Wrightsville Beach Museum of History. Test your abilities or watch as highly skilled standup paddleboarders from around the world battle it out at the 2019 Carolina Cup April 24–28. Embrace ocean hues and stunning views this spring with a sunshine stay. 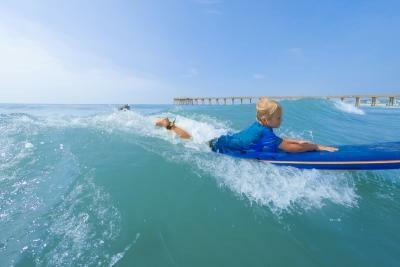 It&apos;s easy to get outdoors at Wrightsville Beach and stay active. 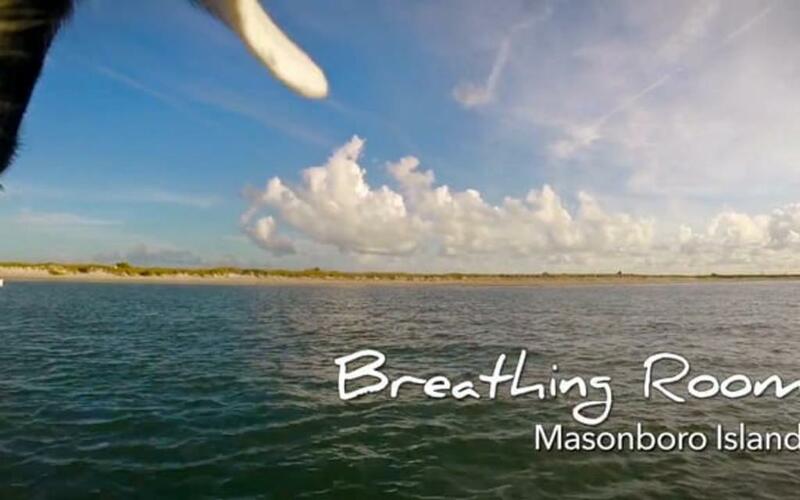 Experience the crystal blue waters from a new perspective with Wrightsville Beach Scenic Tours by exploring area marshes on a Birding Cruise or venture to the longest undisturbed barrier island ecosystem in southern North Carolina, Masonboro Island Reserve, for pristine examples of nature in simple existence. Take a surf or standup paddleboarding (SUP) lesson to get out on the water or try your hand at a variety of other watersports. The Loop – a 2.5-mile trail encircling the island – keeps visitors active on dry land. Spend downtime browsing island shops with unique finds like a megalodon shark tooth necklace at The Workshop or dress to impress shopping at Hallelu Boutique. Nearby Lumina Station boasts a charming collection of shops and restaurants situated around beautiful landscaping. Plan your escape to Wrightsville Beach, voted one of the "South&apos;s Best Beach Towns" by the readers of Southern Living magazine. Families can enjoy day programs and surf camps, visits to area museums and guided SUP or kayak tours. If you&apos;re looking for things to do beyond the beach, reel in a catch like no other with a Family Explorer Day offered through Feel Good Fishing Charters & Adventures. Even picky eaters find something to please their palate at the vibrant Tower 7 Baja Mex or a classic hot dog from the Trolly Stop with 13 different toppings and over 1,000 combinations possible followed by a sweet break at Kohl&apos;s Frozen Custard. The little ones love learning when it comes to the “Living Classroom” with native plants, rain gardens and more at Fred and Alice Stanback Coastal Education Center and adults can step back in time while the kids explore at Wrightsville Beach Museum of History. 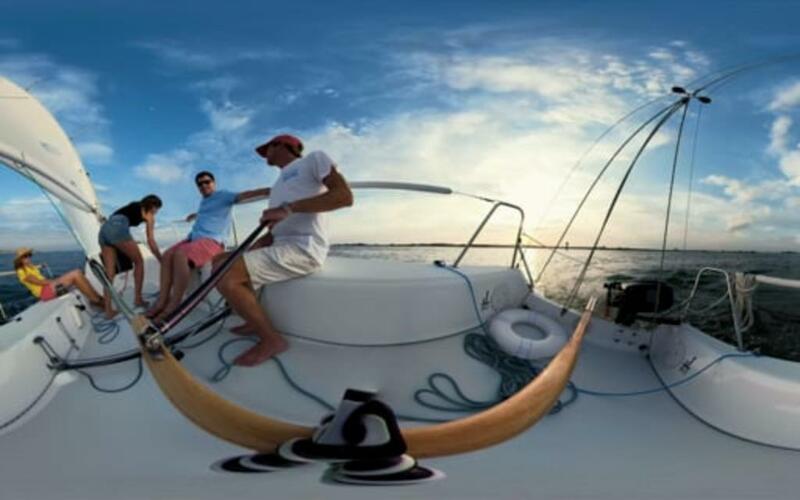 Let the breeze guide you with a sailing lesson from Blockade Runner Sailing School and Wrightsville Performance Sailing. Attracting some of the world&apos;s best paddle surfers, take to the waves during the Carolina Pro-Am, April 20-21, an American Paddlesurf Professionals World Tour qualifier with the winner taking home a $15,000 dollar purse prize. Considered one of the best “SUP Hubs” in the US, watch or participate, April 24-28, in the Carolina Cup with five days of SUP clinics and some of the best standup paddleboard competitions in the world drawing over 800 athletes. If you prefer to paddle at your own pace, take a SUP or kayak lesson on a guided tour with Wrightsville SUP. Get in gear with friends and family during the 30th Annual River to Sea Bike Ride, May 4, a family-friendly 20-mile round trip starting at Historic Downtown and circling through Wrightsville Beach Park. Spring is full of adventure but there are plenty of ways to kick back and relax with the family too. Hop aboard a 23-foot catamaran with Epic Excursions, sip cocktails accompanied by hors d&apos;oeuvres as you cruise into the sunset then enjoy a low country seafood boil or sea-to-table multi-course dinner on one of our beautiful uninhabited islands. 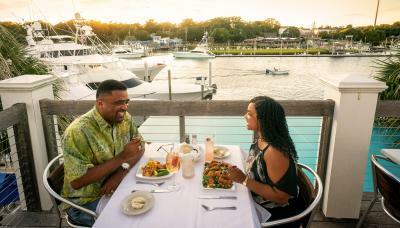 For those who prefer to stay on land, enjoy Intracoastal views from the two-story deck at Dockside Restaurant or dine over the ocean at the newly renovated Oceanic Restaurant where brunch is a favorite amongst locals and visitors alike because of its Southern-infused seafood. For a post-surf lunch, head to SurfBerry Café for a healthy and refreshing lunch of acai bowls, smoothies and cold-pressed juices to fuel you up for an afternoon on the beach. No evening foodie adventure is complete without an authentic farm-to-table meal at EAST Oceanfront Dining set in a posh oceanfront garden and 22 North known for an exciting menu that changes daily using the best local sustainable ingredients along with a handcrafted wine list and cocktails – just two of our shining stars among the Wrightsville Beach culinary scene. Whether a girlfriend&apos;s getaway, couples retreat or solo excursion, there are plenty of ways to stay entertained. Watch the yachts cruise into the marina over a sunset dinner at Bluewater Waterfront Grill. Enjoy poolside beverages in lush gardens at the Blockade Runner Beach Resort. Taste local flavors with craft cocktails and small plates from Shark Bar & Kitchen. Hop next door for an authentic beach bar experience at The Palm Room then catch live music in an eclectic atmosphere at Jimmy&apos;s at Red Dogs. End the night people-watching the streets of downtown Wrightsville Beach from the front patio of Jerry Allen&apos;s Sports Bar & Grill. From a family vacay to a resort getaway, choose from a variety of lodging options this spring at Wrightsville Beach. Recently renovated after last year&apos;s storm, indulge in one of our full-service resort hotels or check out a variety of oceanfront vacation beach homes, condo rentals and motels. You&apos;ll find the perfect island retreat for any style. Accommodations begin to book up quickly during the spring, so plan your getaway now. Carolina Pro-Am, April 20-21; Carolina Cup, April 24-28; Safari Hunt, May 4; Pier-to-Pier Swim, May 18; Cape Fear Blue Marlin Tournament, May 29-June 1. Best Spring Break in U.S.
Wrightsville Beach is featured by Travel and Leisure as one of the Best Spring Break Destinations in the U.S. noting the variety of things to do. From dining destinations to surf camps and excursions, start your spring break bucket list with these family-friendly trip ideas in Wrightsville Beach. 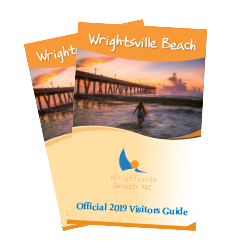 Planning a getaway to Wrightsville Beach is easy to do with the free 2019 Official Visitors Guide. Request or download a guide now. Kick start your wellbeing goals by planning a visit to Wrightsville Beach, where wellness meets relaxation on the coast. Get the latest update on things to see, do and explore in Wrightsville Beach including news and accolades here. Soar over Johnnie Mercer's Pier and Banks Channel as you get a birds-eye-view of what's in store at Wrightsville Beach. Get a preview of Wrightsville Beach special events and things to do by signing up to receive eSpecials. Share your getaway photos from Wrightsville Beach using #wrightsvillebeach or #MyWBAdventure to be featured in our Social Moments album!